Save, customise and share your important locations. Get people, services and deliveries to you quickly with easy directions. 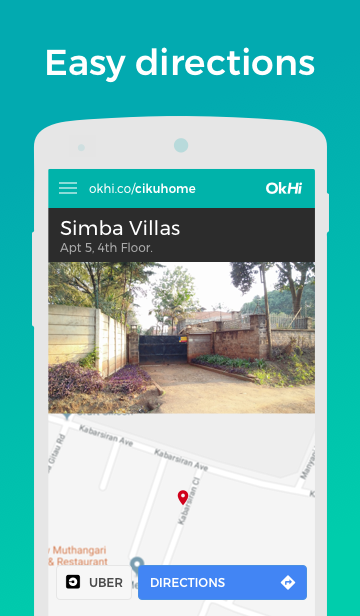 Quickly share your stored OkHi locations to friends coming to you or to organise work meetings. View menus and order great food from our trusted delivery partners right from the app. Look out for regular offers for FREE and discounted food from your favourite delivery services. Watch your delivery rider in real time on the map as he delivers right to your door. 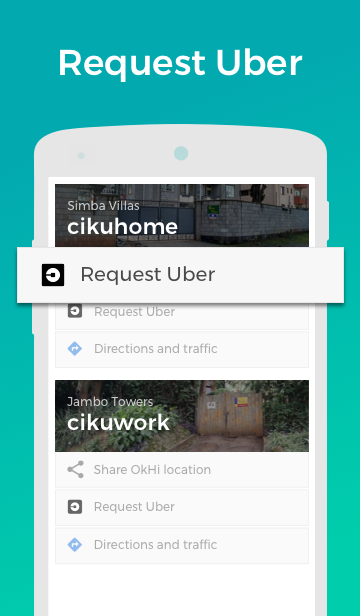 Request Uber using your high accuracy OkHi location as your pick up and drop off point.